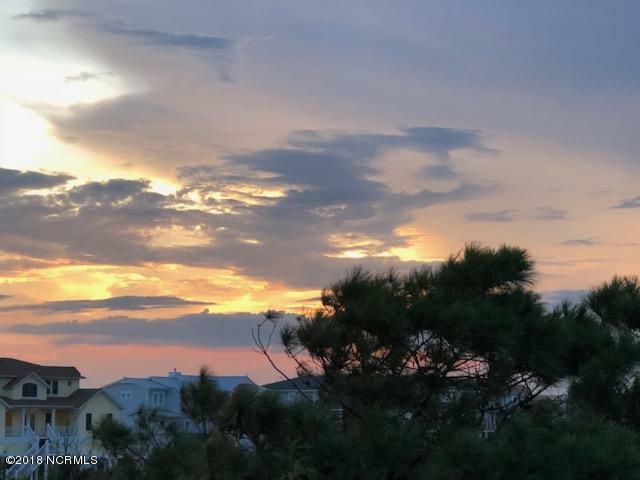 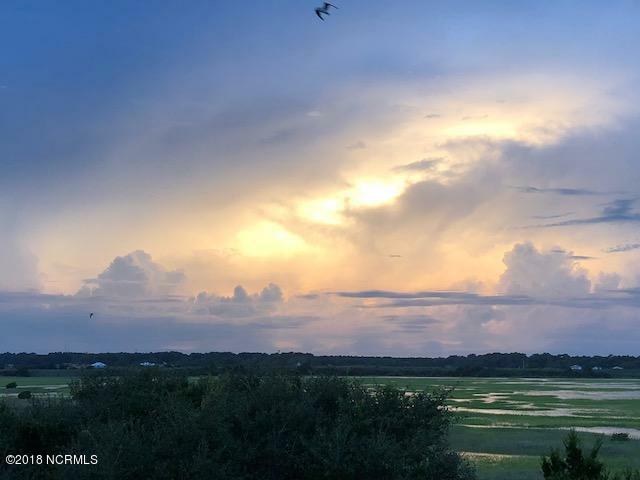 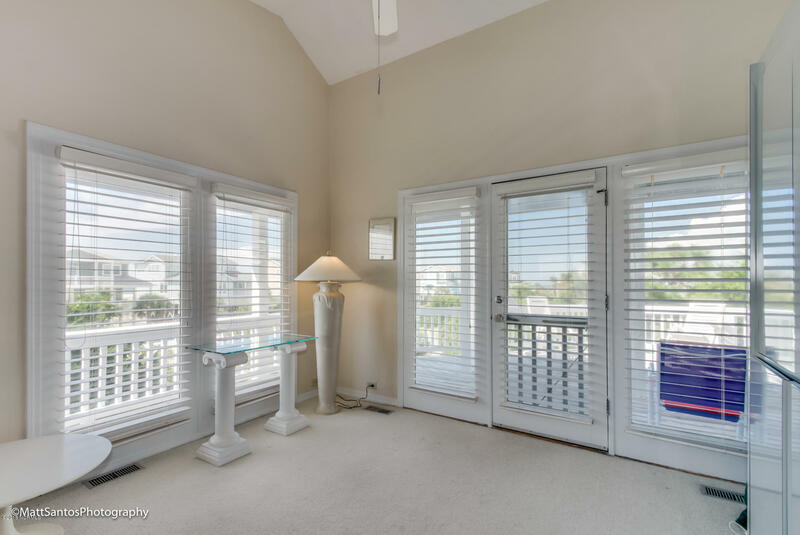 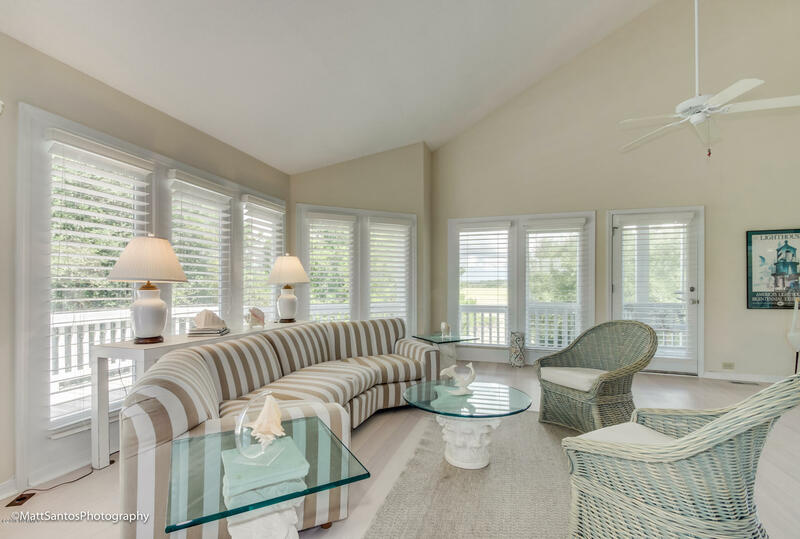 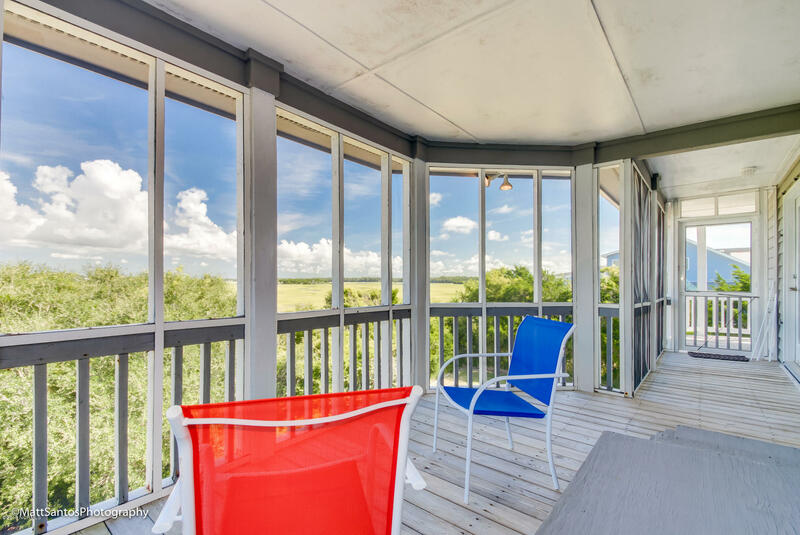 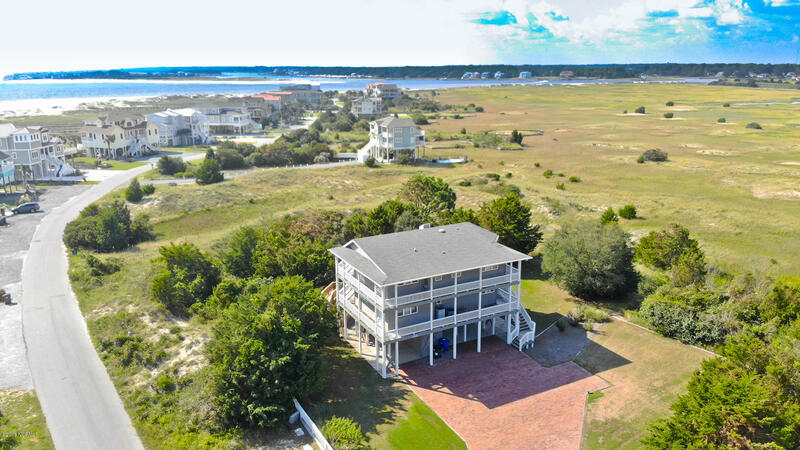 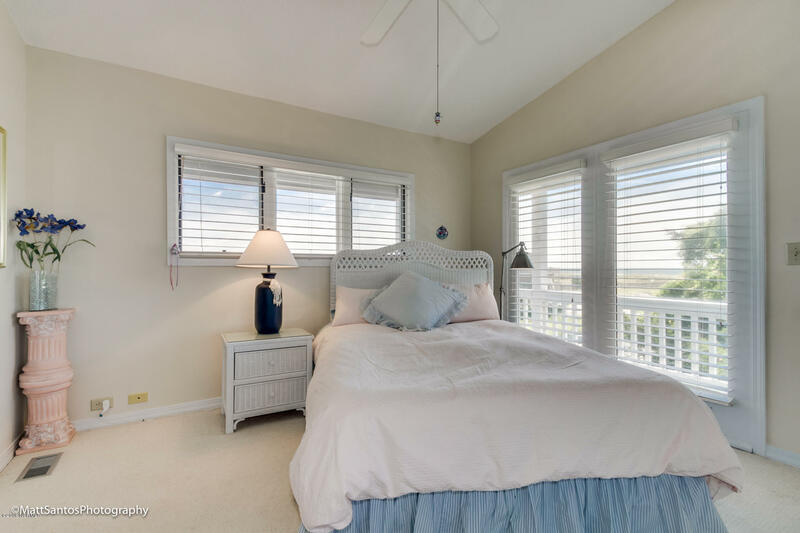 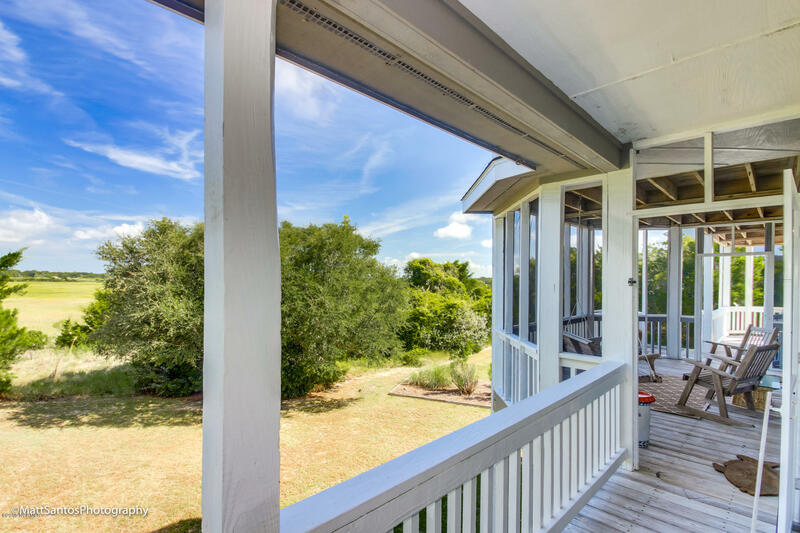 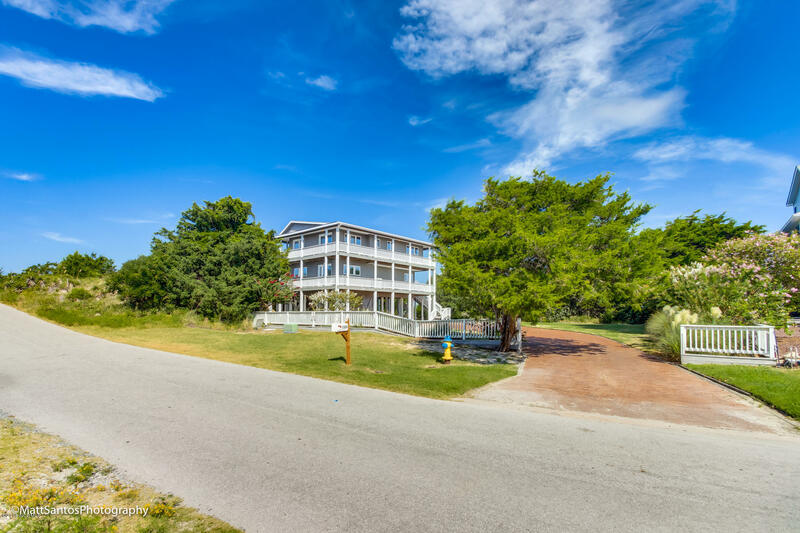 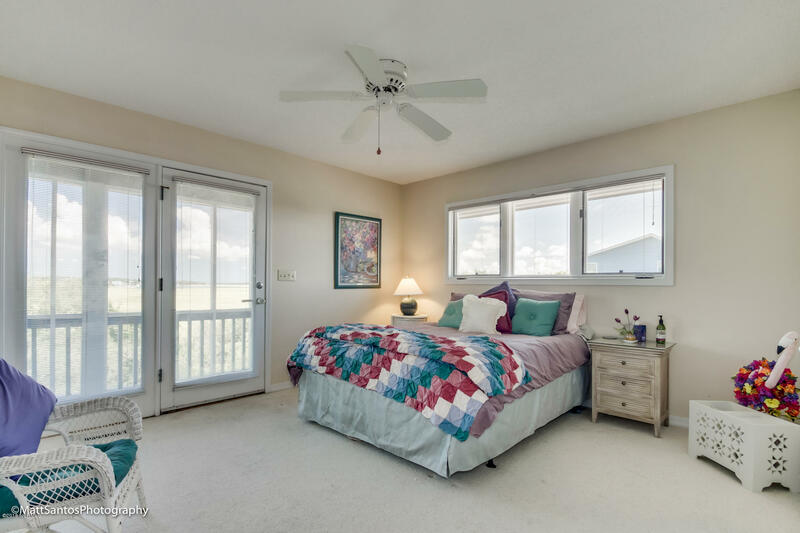 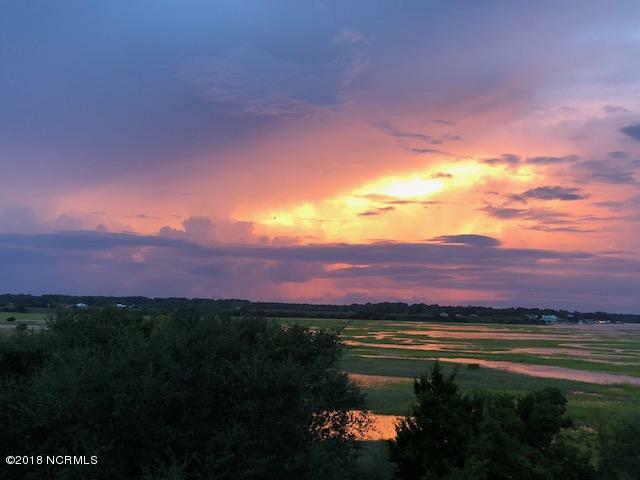 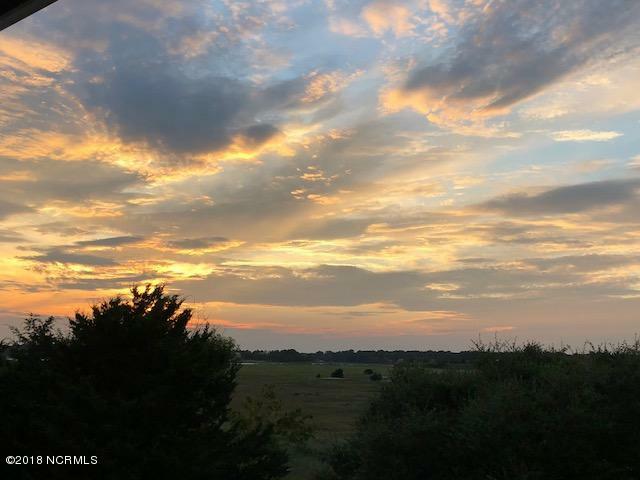 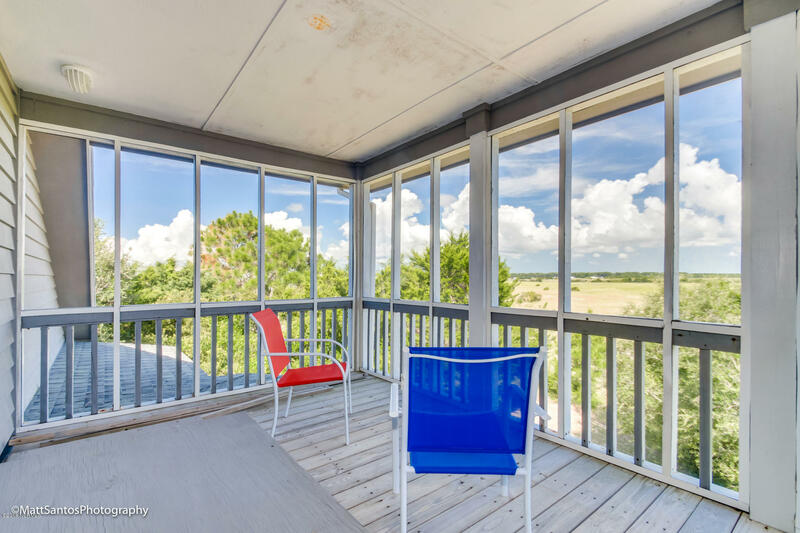 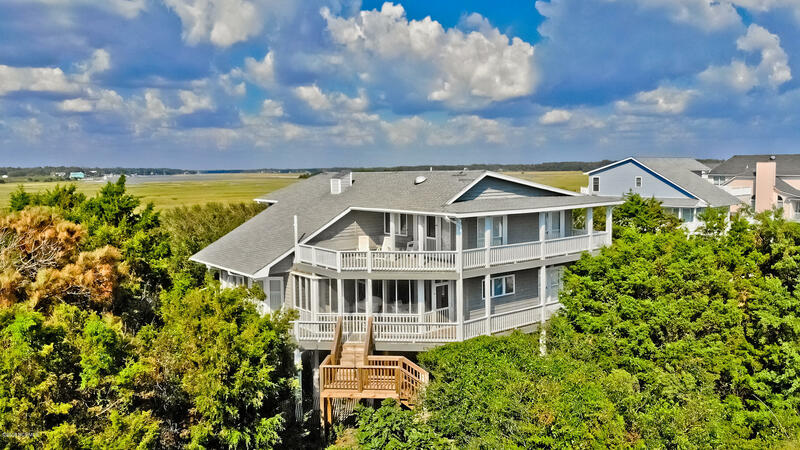 PRIVACY AND BEAUTIFUL LANDSCAPE VIEWS make this furnished Holden Beach home very desirable and a perfect getaway for a group or family. 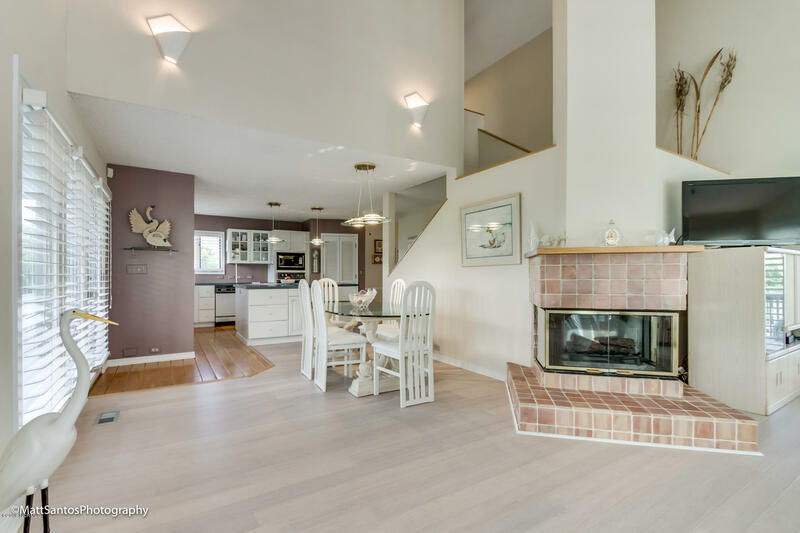 This custom designed home, built by the family of present owner, comes with a brick paved drive situated on two lots and offers an abundance of space to spread out and entertain family and friends. 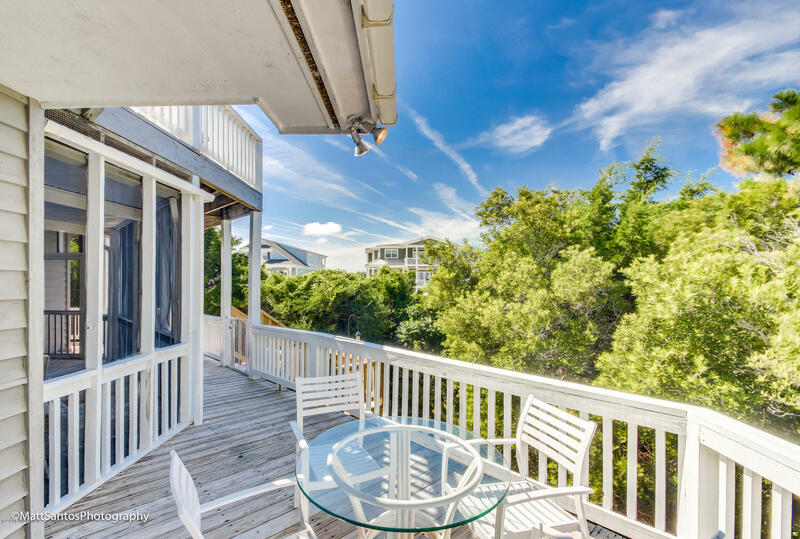 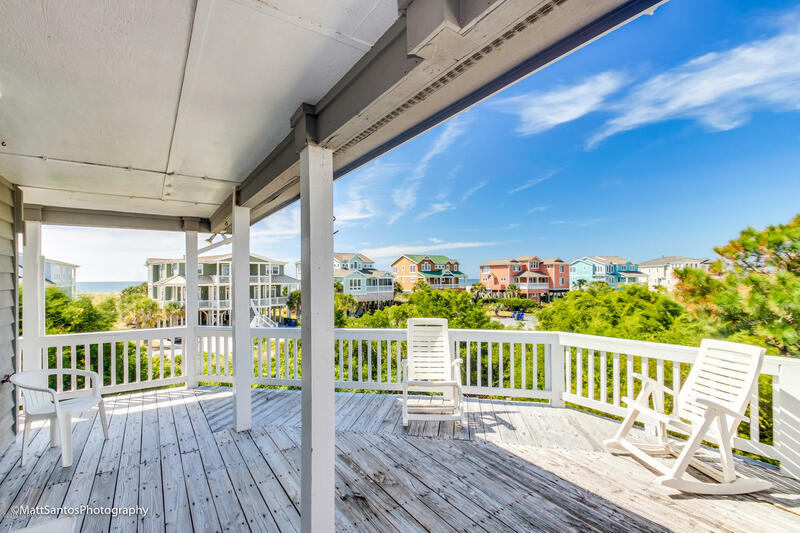 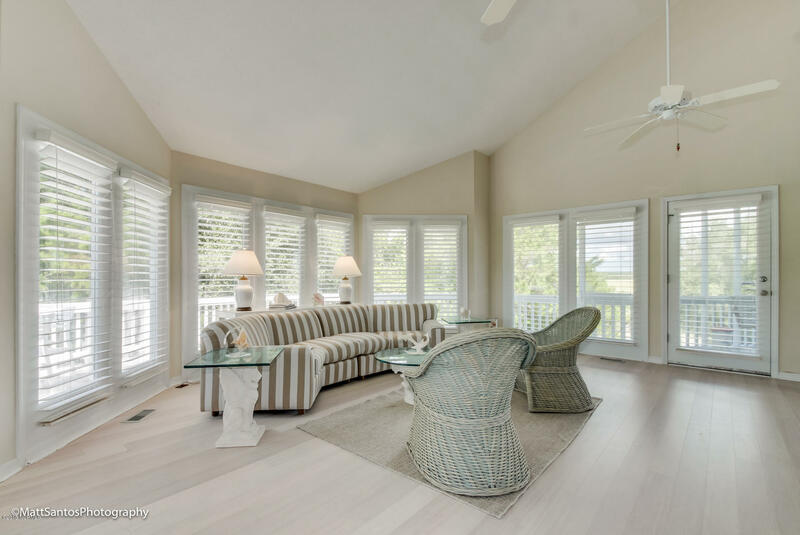 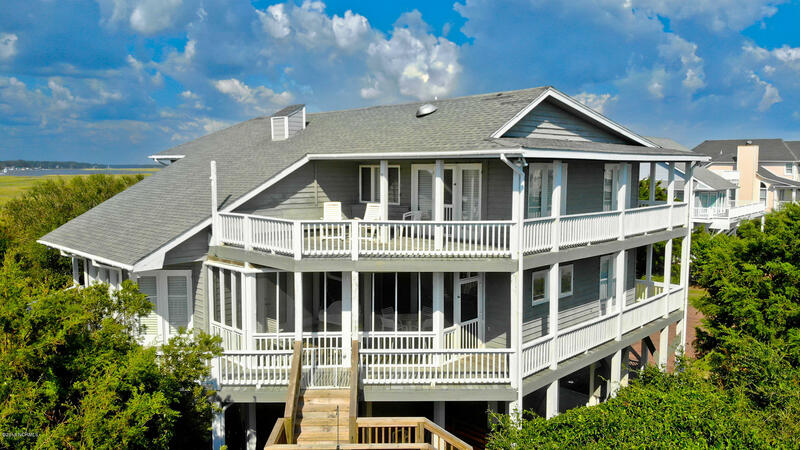 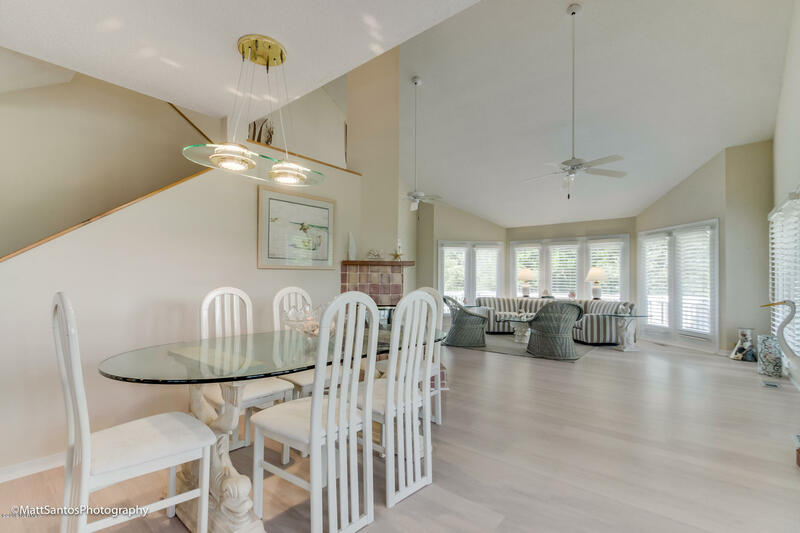 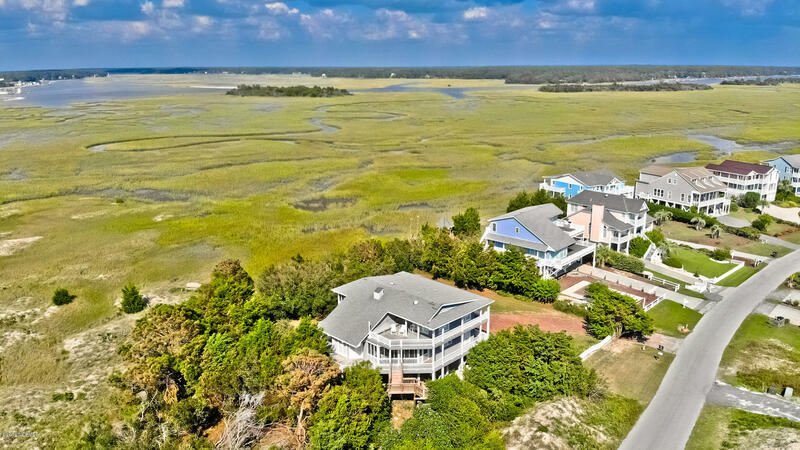 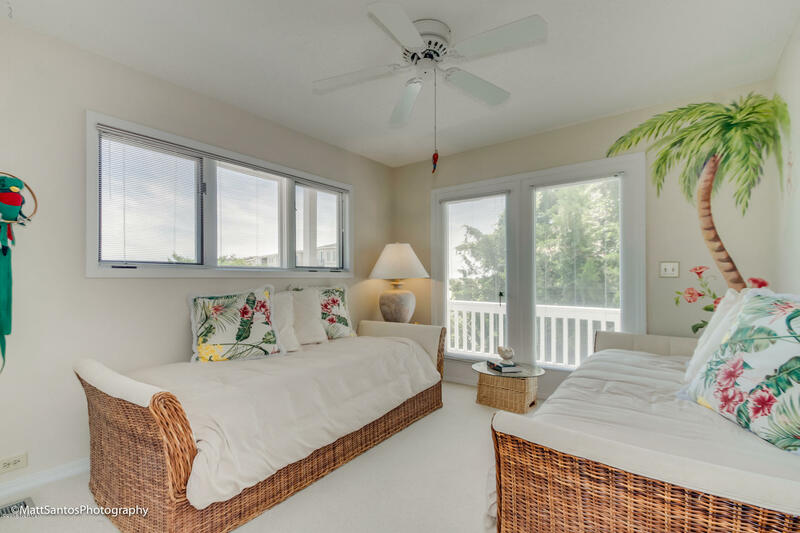 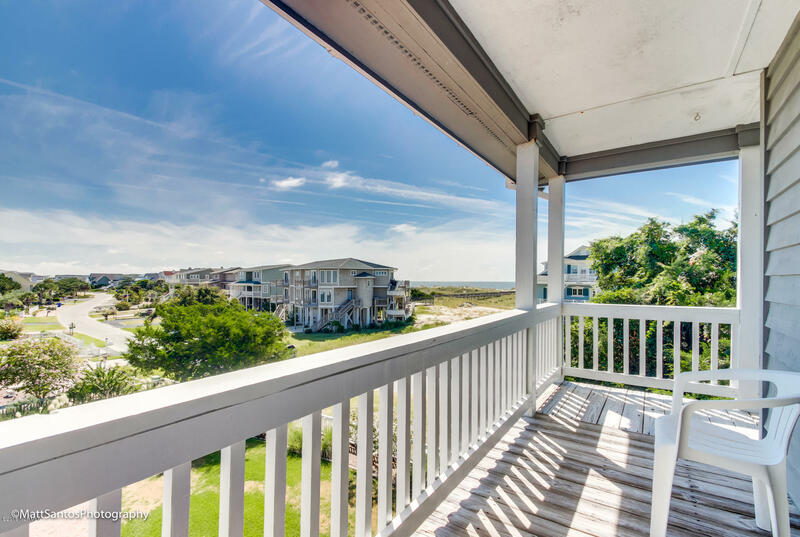 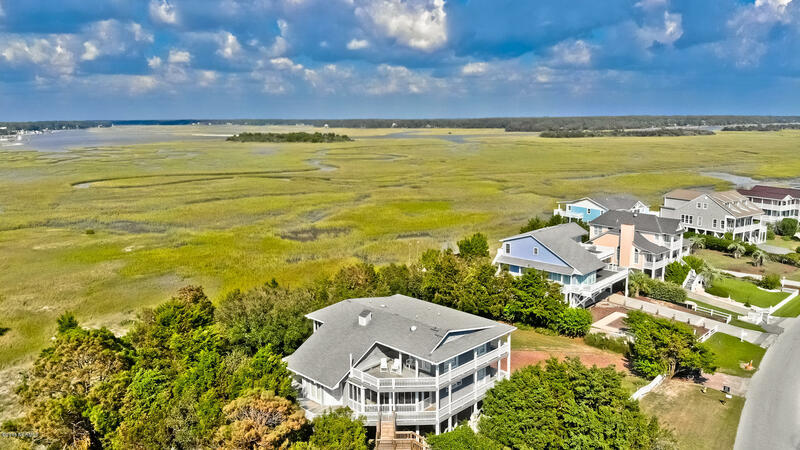 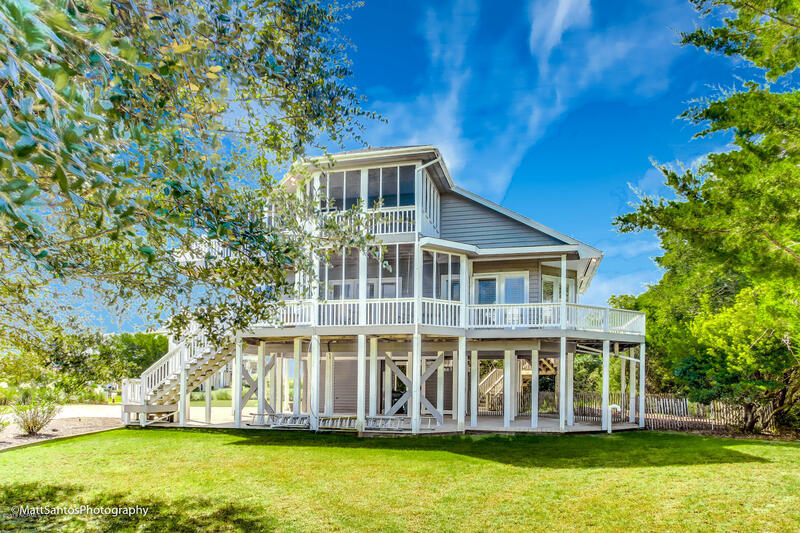 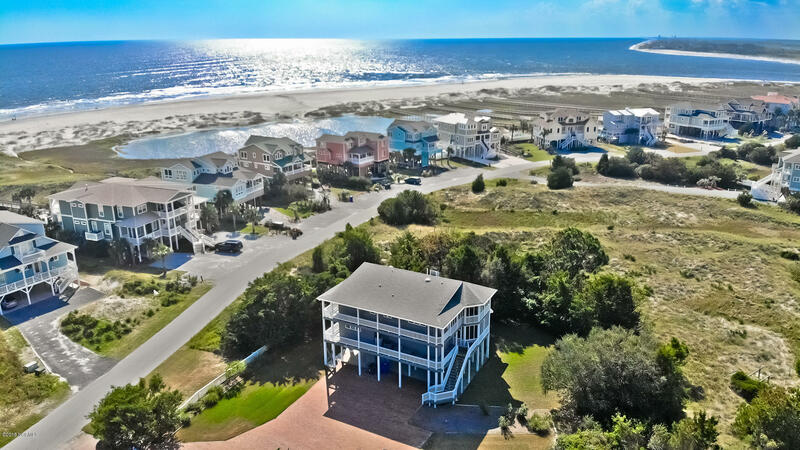 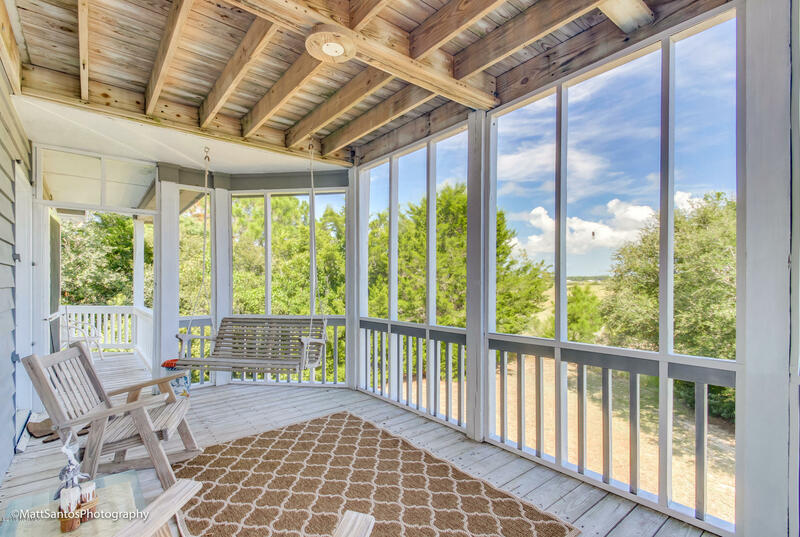 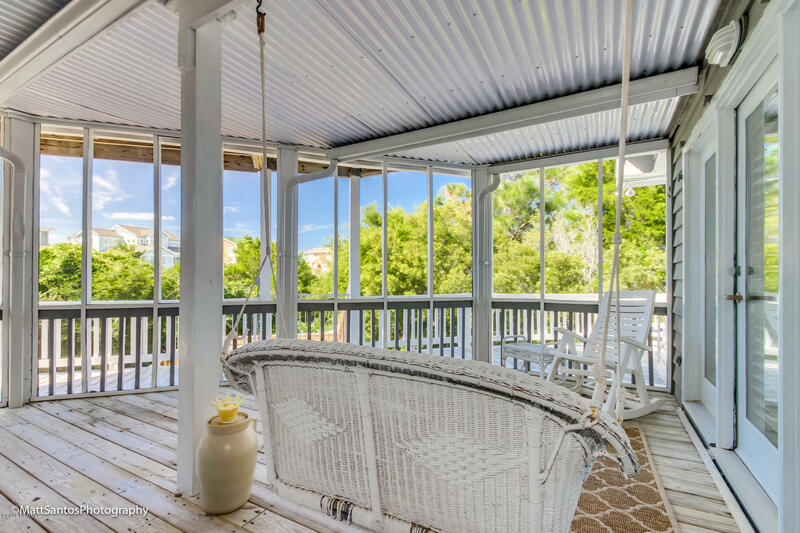 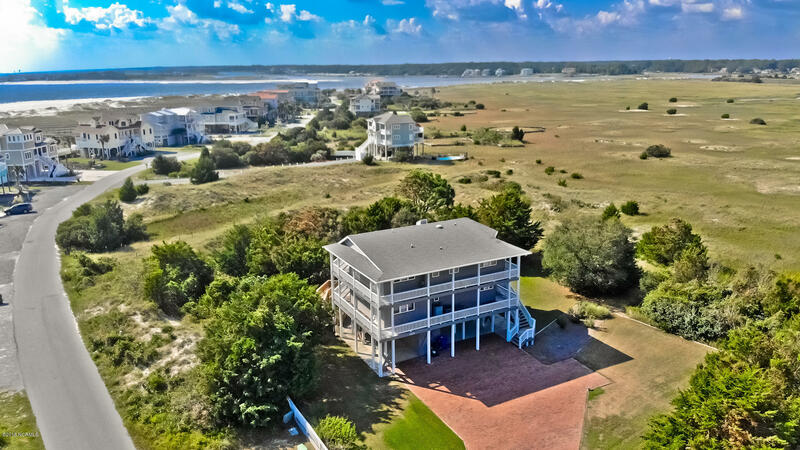 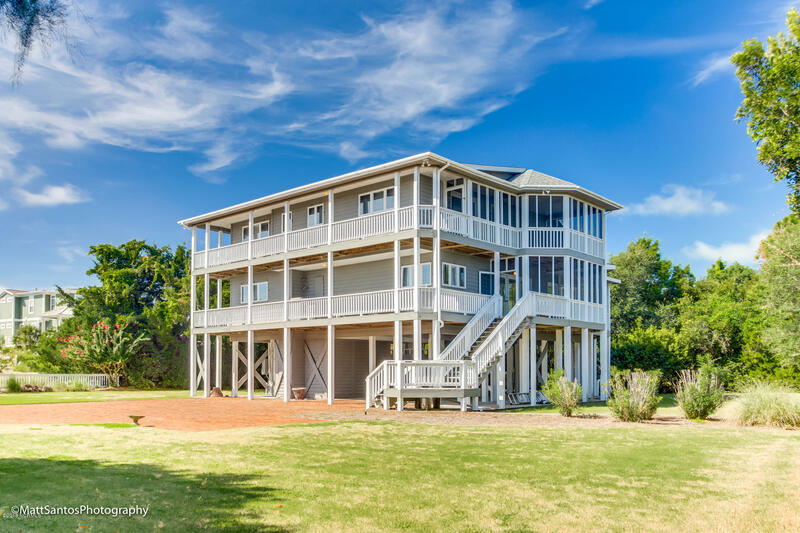 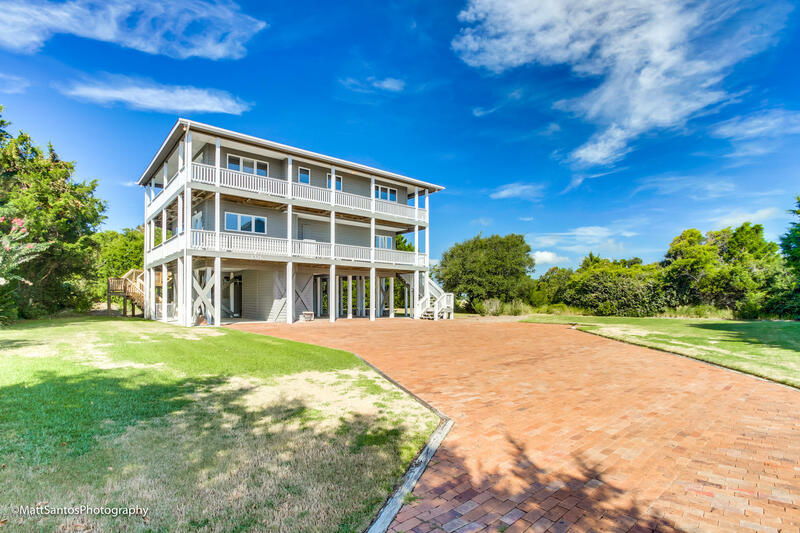 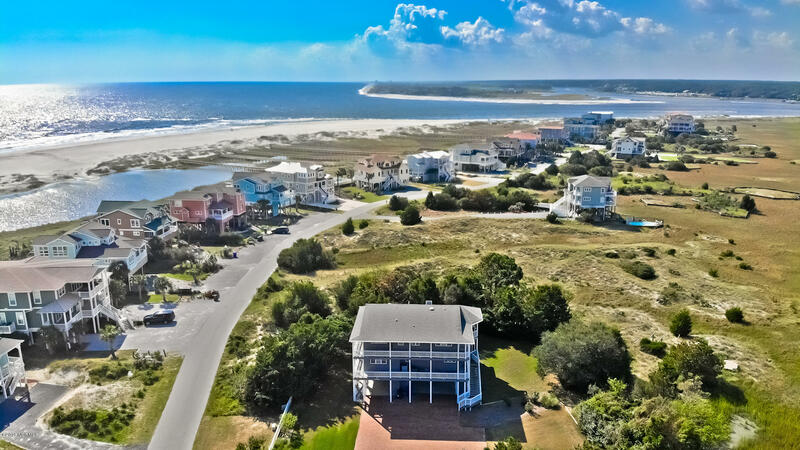 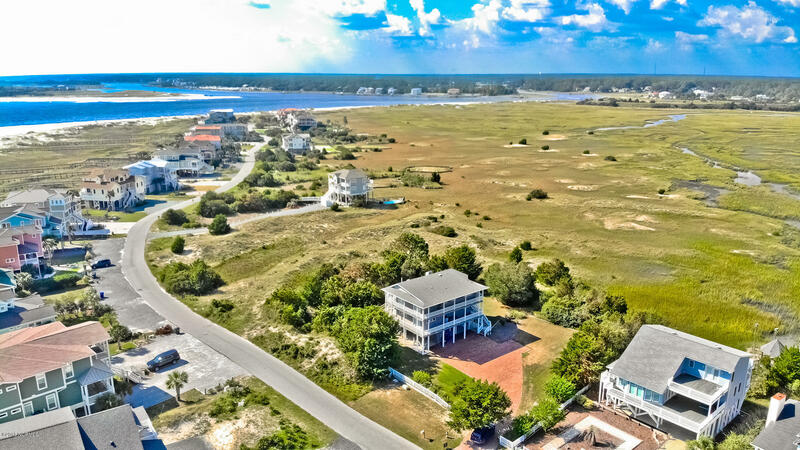 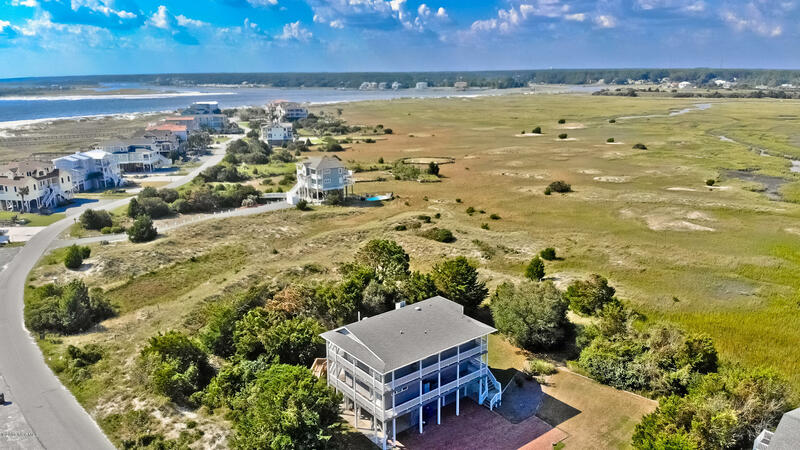 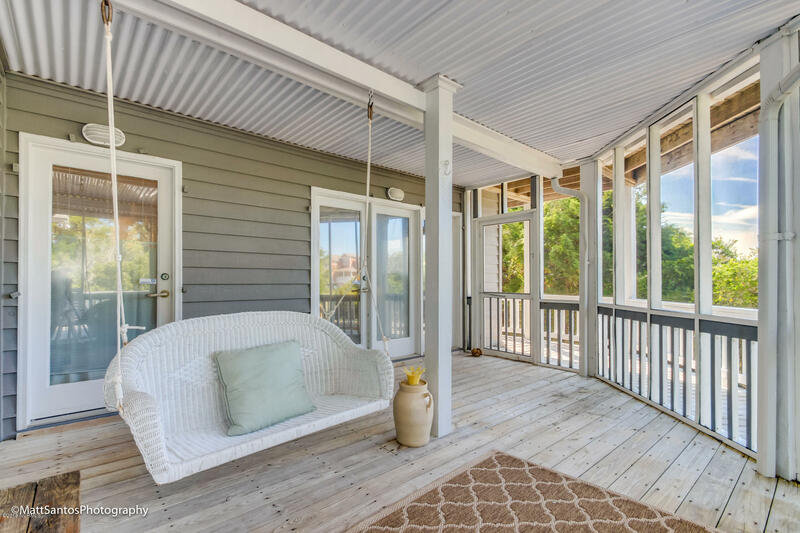 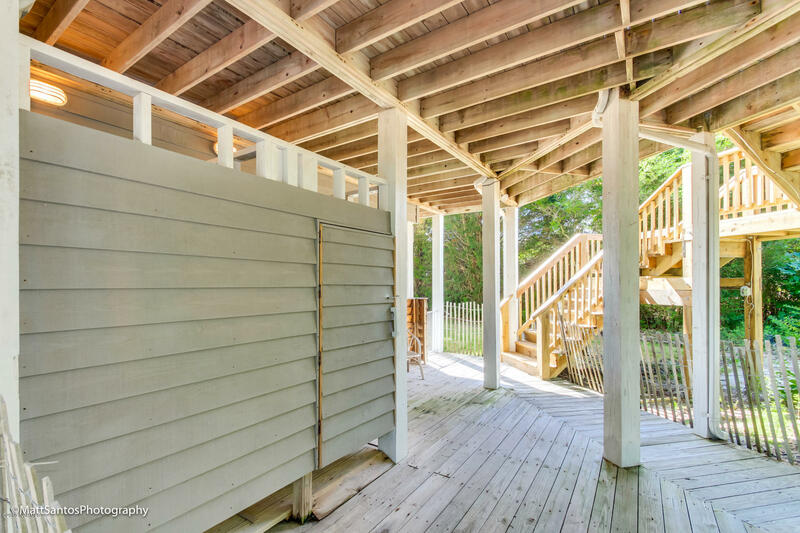 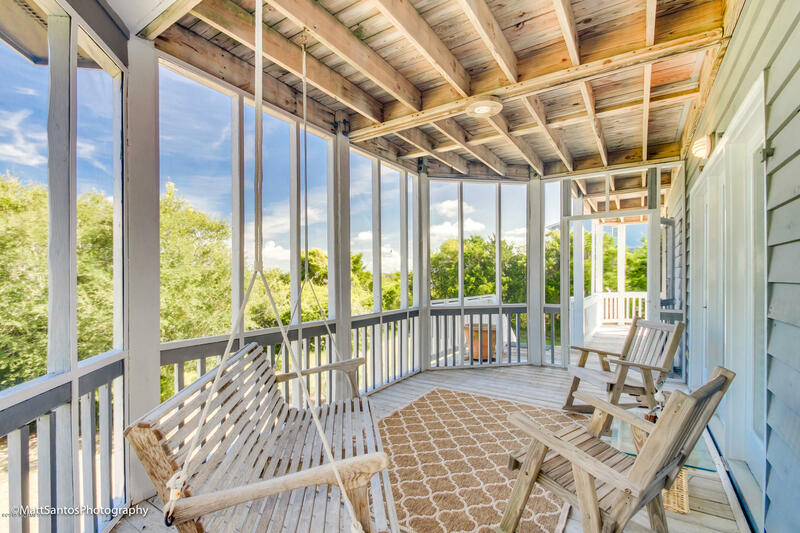 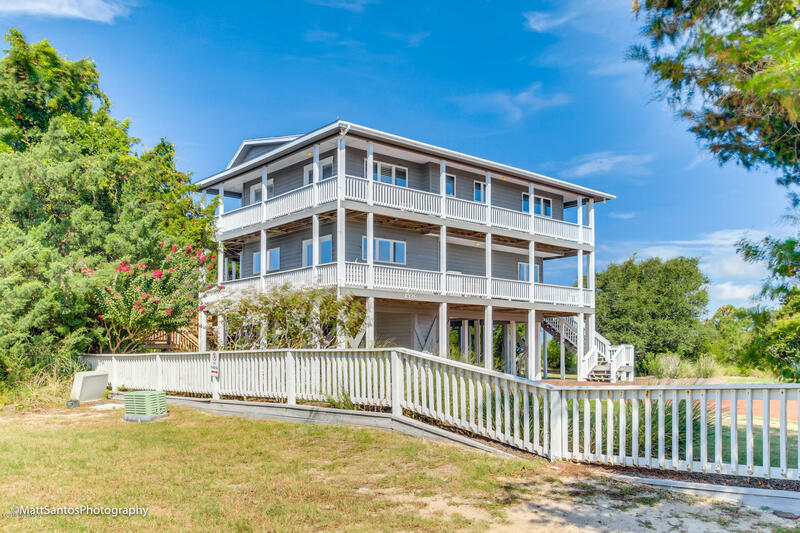 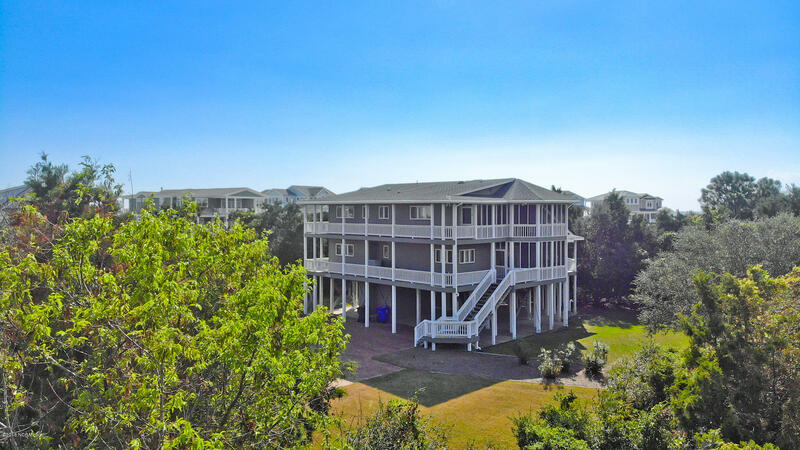 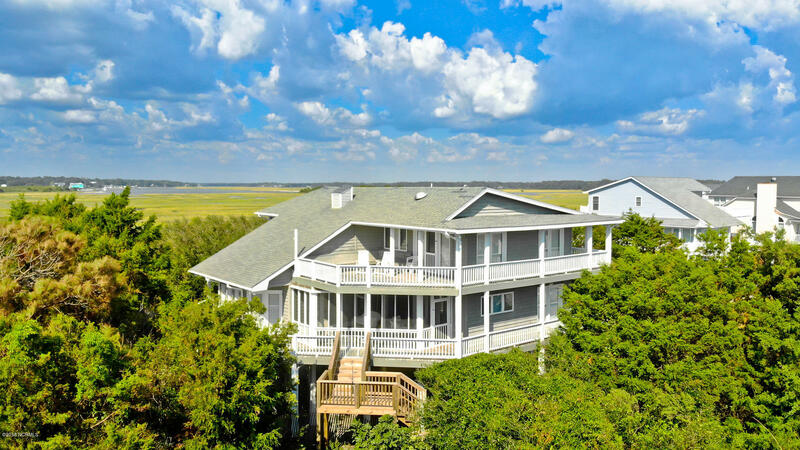 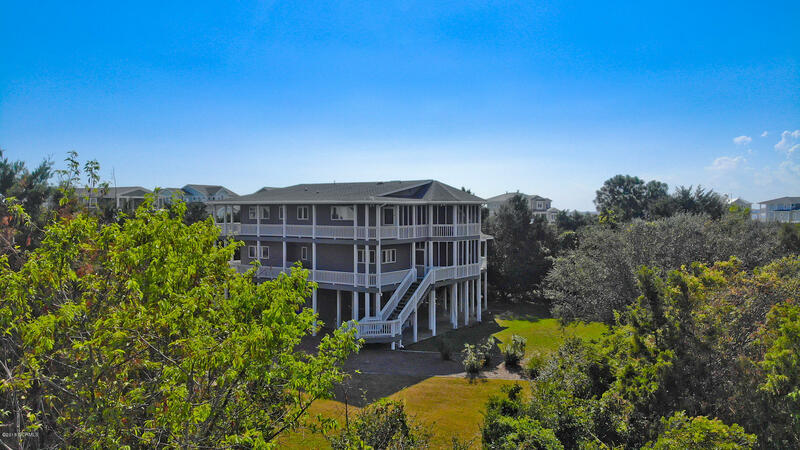 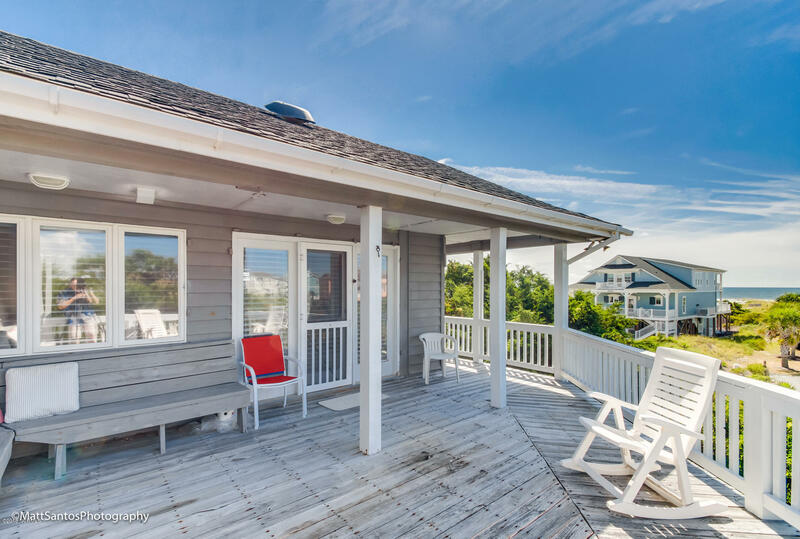 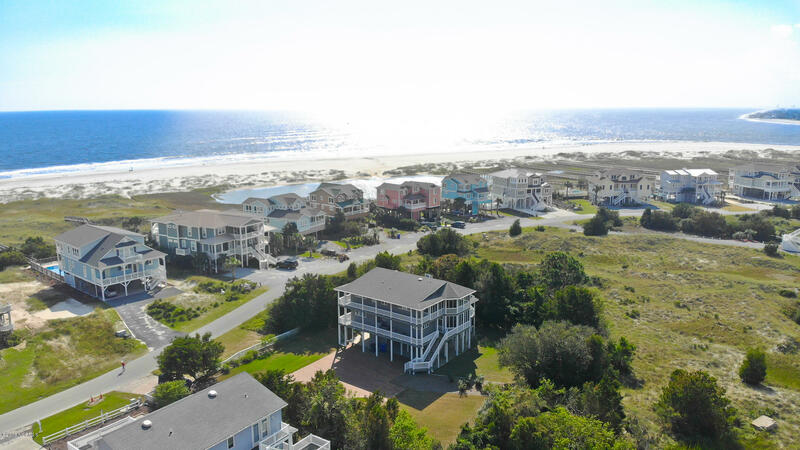 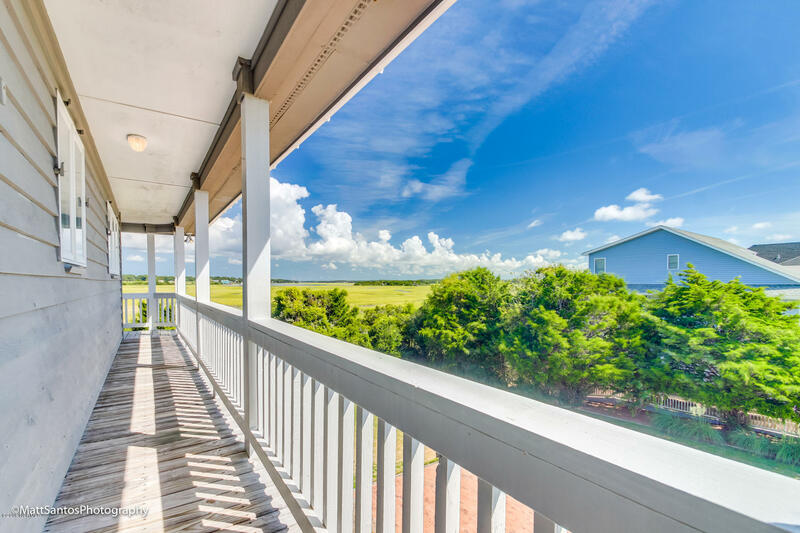 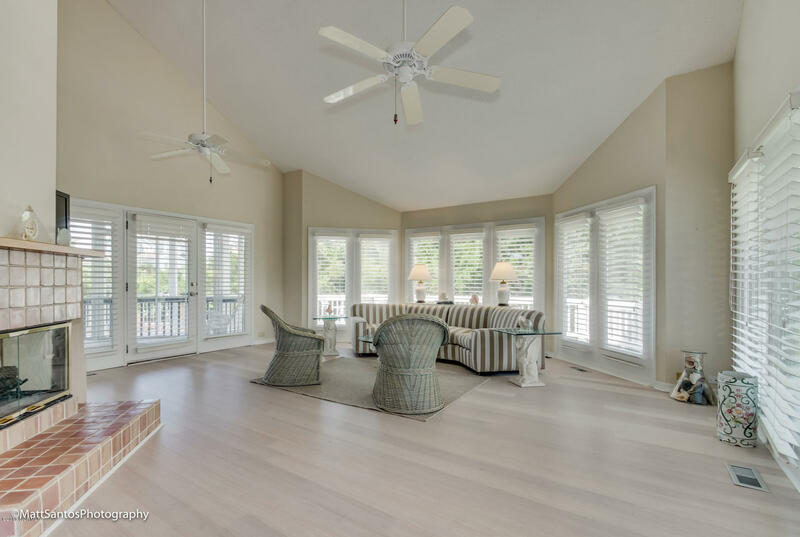 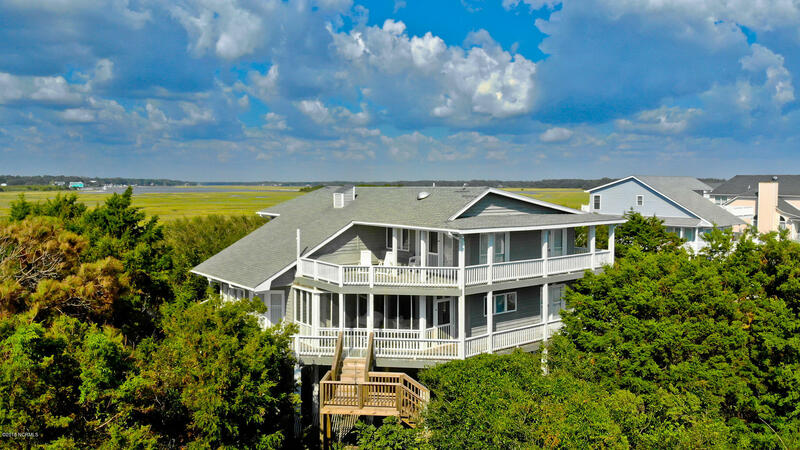 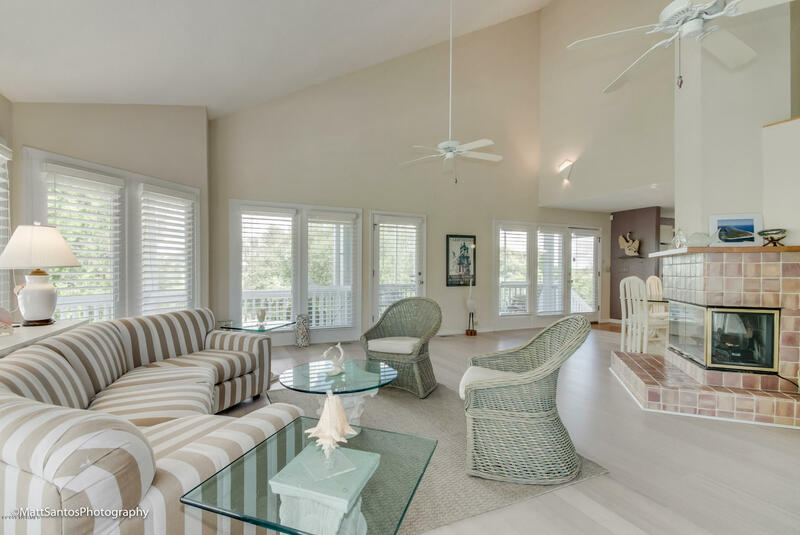 Multiple wrap around decks each with a water faucet and three spacious inviting screened porches highlight wonderful ocean, ICW and marsh views and present perfect spots to relax or socialize. 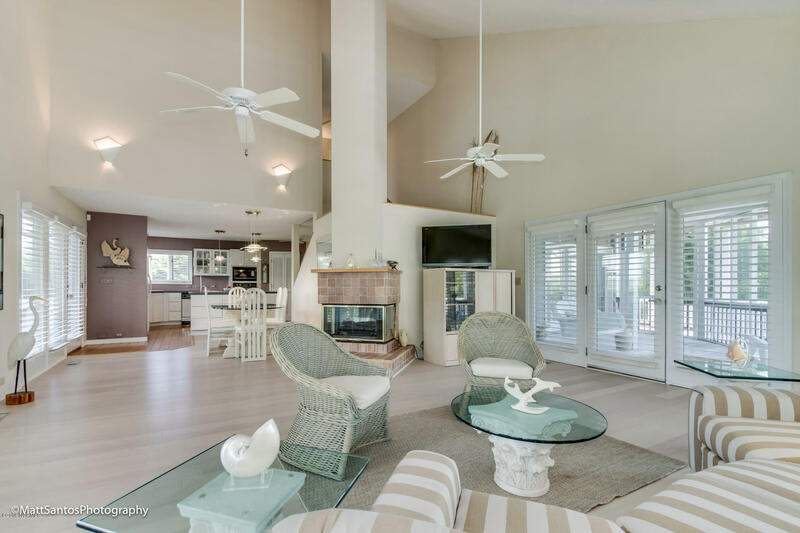 Inside, an open living space hosts walls of windows, high ceilings, and a cozy electric fireplace with a handmade Mexican tile hearth. 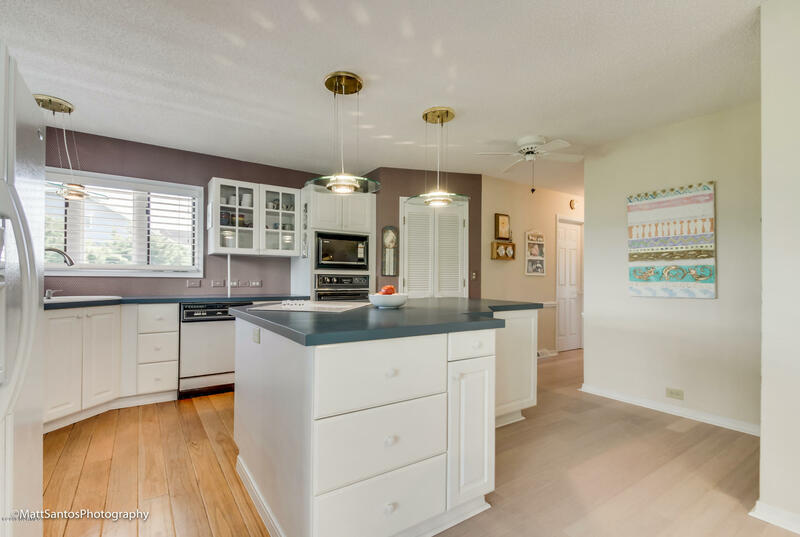 An adjacent airy kitchen with dining area, custom cabinets, automatic lighting, and a large island is ideal for family meals. 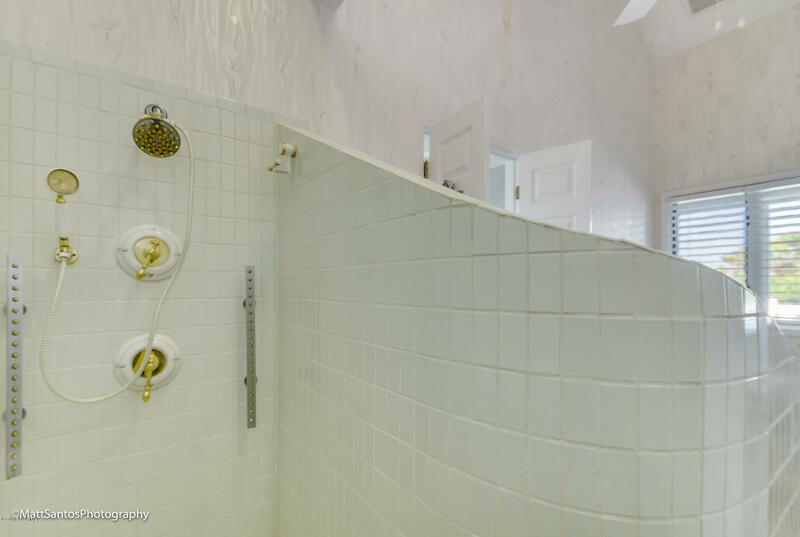 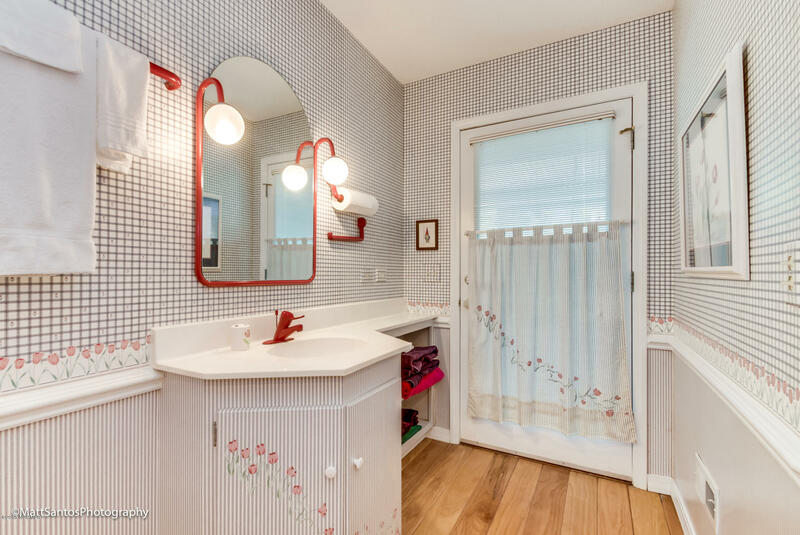 Master suite has his and her bathrooms and a second bathroom features a hand-cut tulip border. 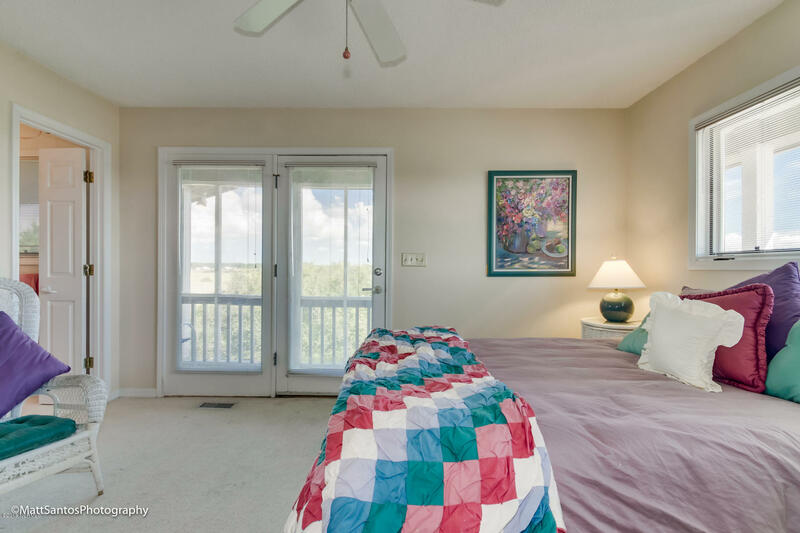 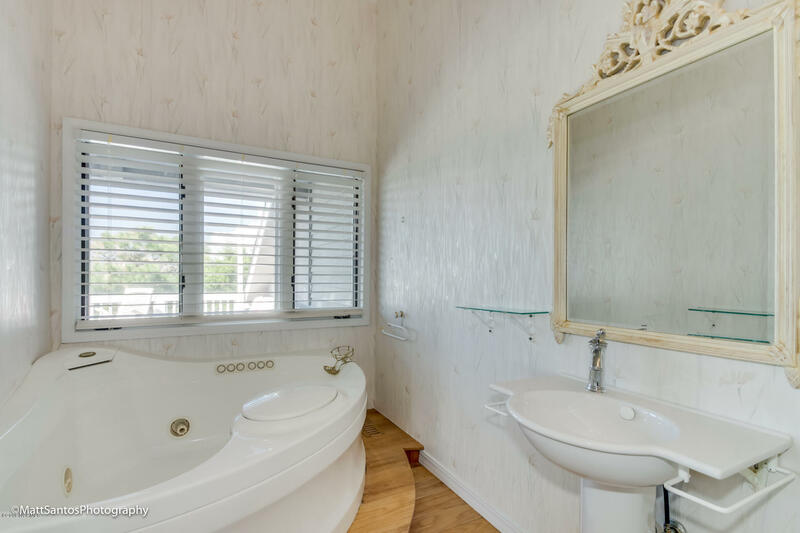 There are two additional bedrooms and two baths. 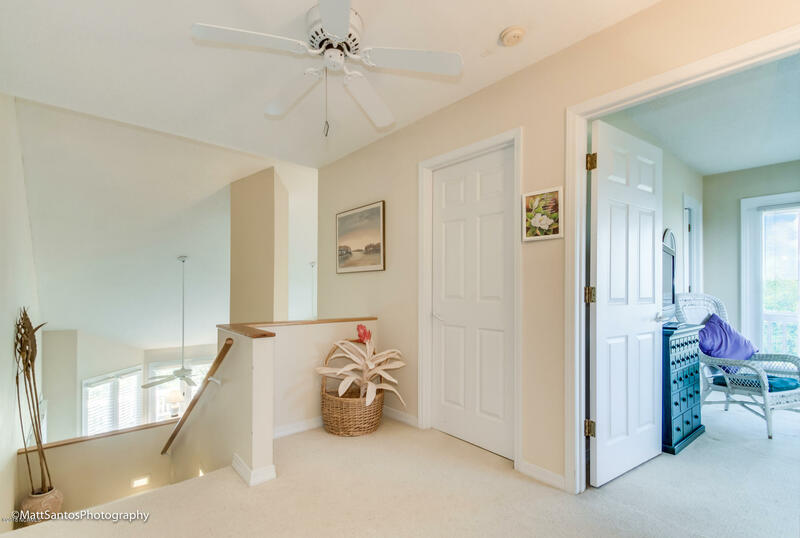 Other features include wide staircases and landings, gorgeous "Calli" bamboo flooring throughout main living area, European door knobs and handles, lockable interior and exterior storage rooms, and a new HVAC upstairs. 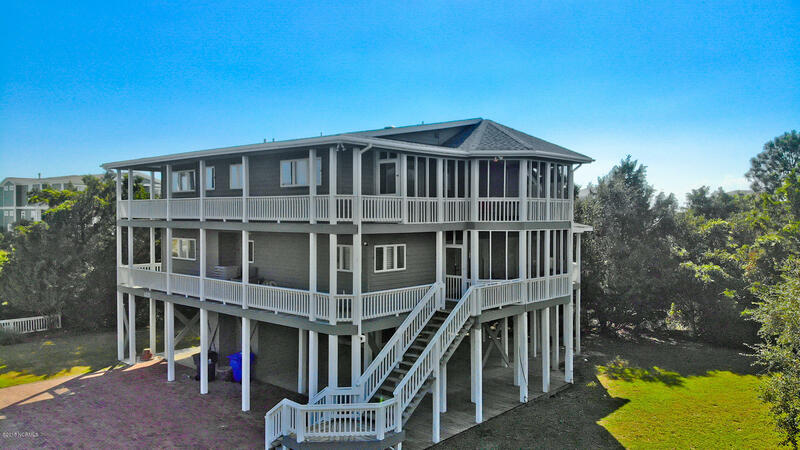 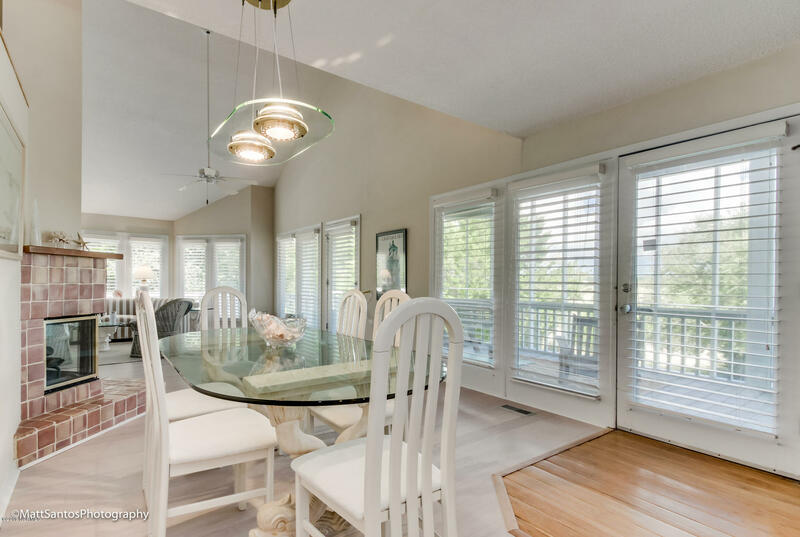 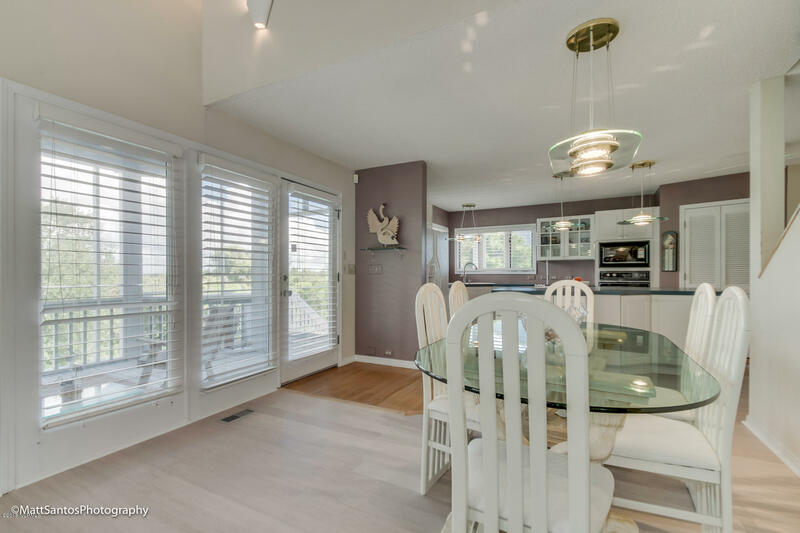 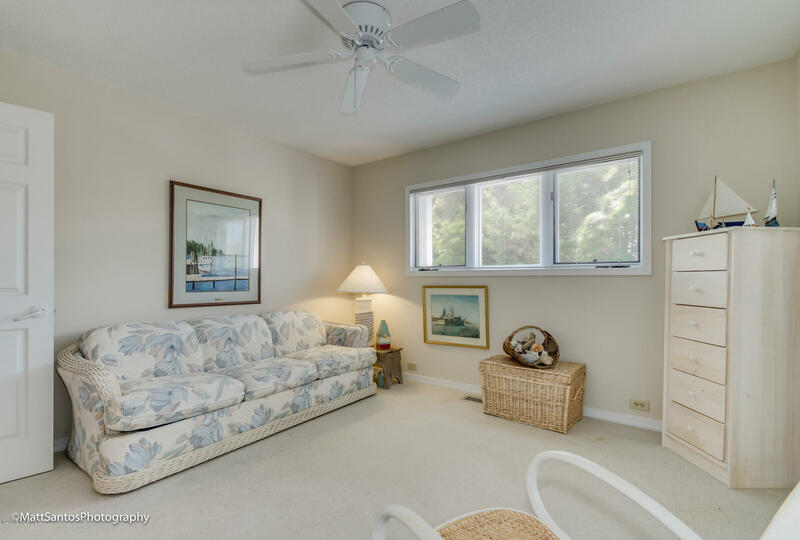 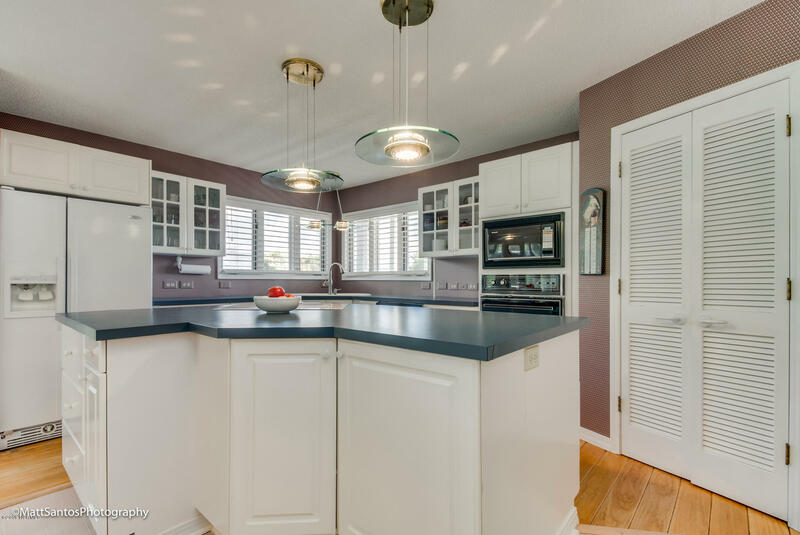 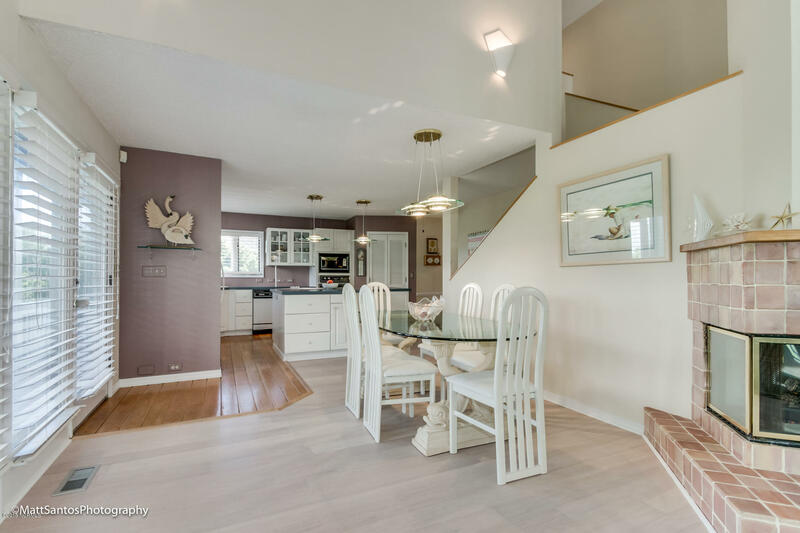 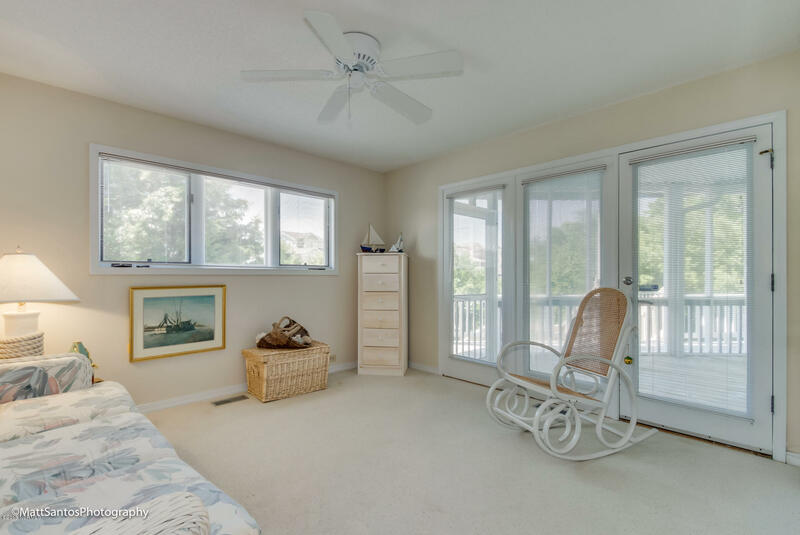 This beautiful property comes with a transferable home warranty from 2-10 and has never been a rental, is just a few short steps away from access to beautiful sandy beaches.